If you’re a student of Cold War spies (and if you’re at Spybrary there’s a decent chance you are), those names will be very familiar. The latter pair’s 1951 defection helped to make public the most famous spy scandal of the era. In the decades since, they’ve also inspired countless works of fiction on page and screen. One of the more unusual comes from the realm of science fiction and, to be more specific, from a long-running icon of British popular culture: Doctor Who. 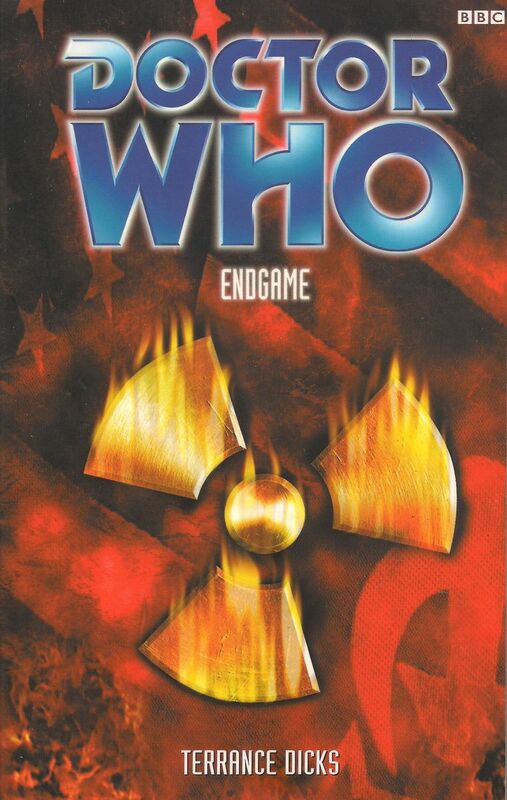 In 2000, the venerable Time Lord came face to face with them in the novel Endgame. Before delving into the novel, it may be necessary to offer up a brief history as to why it is the book that it is. In 1989, Doctor Who ended its original run on television after twenty-six years with Sylvester McCoy as the Doctor. For many programs, that would have been the end with no more stories to tell, consigning it to live on in the memories of fans. Instead, beginning in 1991, the end of the TV show led to a plethora of new adventures in prose initially from Virgin Books picking up where its screen counterpart left off before expanding to a range featuring earlier Doctors. The series briefly returned to screens with the 1996 TV Movie with Paul McGann taking over as the Doctor which aired on BBC One in the UK and on Fox in the US. While a hit in the UK, the TV Movie didn’t secure a large enough American audience to guarantee its future as an ongoing series. 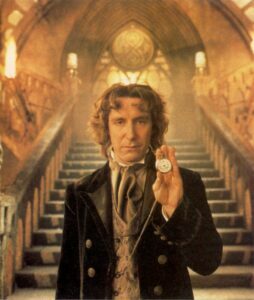 Paul McGann as the Eighth Doctor in the 1996 Doctor Who TV Movie. So it was in 1997 that BBC Books took up the mantle of Doctor Who original fiction when Virgin lost the license. As Virgin had with McCoy’s Seventh Doctor, BBC Books ran a series of novels with the continuing adventures of McGann’s still fresh Eighth Doctor alongside books starring past Doctors. But after three years and thirty-plus books, the Eighth Doctor Adventures (EDA) had become marred in continuity and ongoing storylines. So much so that the editors of the range effectively hit a reset button which left the Doctor exiled to twentieth-century Earth with a bit of amnesia and no working TARDIS. It is in the midst of this exile that Endgame takes place as the Cold War catches up with The Doctor. So if you’re intrigued enough to want to read it, that’s all you need to know. Endgame opens in the style of a couple of le Carré novels. Like Smiley’s People, the Doctor is drawn into events by an Eastern European exile living in London who is playing the great game of Cold War espionage. It is that document and what happens to the exile that sets the plot in motion. The Doctor, meanwhile, is not unlike Alec Leamas: tired, depressed, wearing worn out suits, and noting that in the clash of ideologies people usually get trampled underfoot. He’s capable of defending himself and has flashes of memories from his past life but, on the whole, he is just as stuck on a planet potentially about to explode like the rest of humanity. That melancholic streak to this ebullient character is rather intriguing to read for someone who is a fan of the series yet feels right thanks in large part to the dialogue. It isn’t long before The Doctor becomes unwillingly entangled in events. He’s drug into them by an acquaintance of Graham Greene (whom the Doctor met during the war in the earlier novel The Turing Test) who is still in the secret world. That figure? None other than Kim Philby, briefly back in London from his posting in Washington. The Philby of Endgame, drawn in prose by longtime Doctor Who writer Terrance Dicks, is a charming but conniving figure capable of endearing trust from others while often being unwilling to trust others. Throughout Endgame when he appears, it’s hard not to like the smooth side of the infamous British spy while also questioning what he has hidden away. The scenes between the Doctor and Philby, with the spy often fueled by whiskey, are among the highlights of the novel. The document, the McGuffin that sets the plot in motion, also sets the stage for the big drama of two of the spy ring fleeing to Russia. Those familiar with the story of the Cambridge spies will recognize many elements from the chapters mid-novel that deal with these events where Dicks gets to show off some of his knowledge. Remember that Donald Maclean’s wife said someone from the Foreign Office joined them for dinner the night of the defection? Someone we’ve always assumed was Guy Burgess? Well, the novel has an explanation for that. While Dicks can’t resist adding some dramatic flairs as part of the larger plot, this portion of the book makes for fun reading all the same. 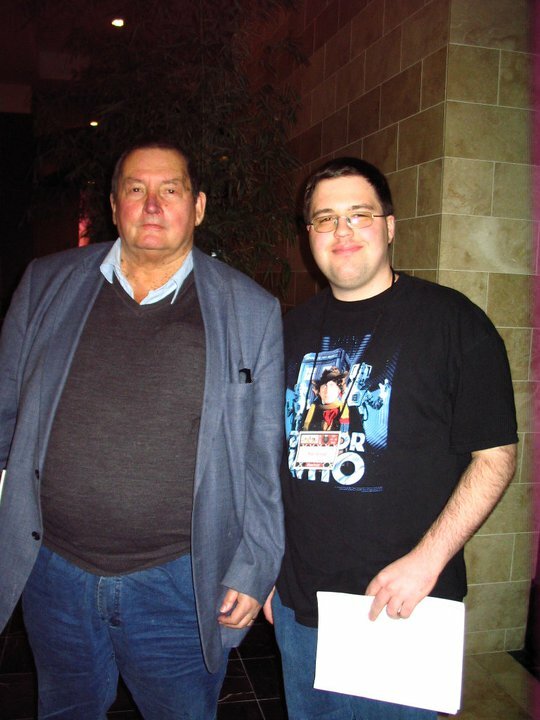 Author Terrance Dicks (left) with the reviewer at Chicago TARDIS 2010. Even with the drama of the escape, it’s clear something else is going on. The mysterious group that becomes known to Philby and the Doctor as “the Players” lurks in the background, apparently pushing to start World War III. Here, Dicks was returning to the villains he’d devised for his 1999 novel Players, which had featured Colin Baker’s Sixth Doctor, though thanks to the Eighth Doctor’s amnesia it isn’t necessary to have read that work. It’s another case of the novel being more welcoming to new readers. In the second half of the novel, the tone changes as well. With the narrative seeing the Doctor traveling to Washington, Endgame trades le Carré and actual history for something more in the spy-fi tradition. That Dicks got his start as a writer for British television on shows such as The Avengers should come as no surprise then as he begins mixing in the nebulous, mysterious game players with figures such as Harry Truman and Joseph Stalin. Add in some plots and hints of Cold War paranoia come true, and you have an example of a tale that pops up occasionally in Doctor Who, one which is relatively light on science fiction. It helps perhaps that Dicks’ prose style makes his work immensely readable. Short, snappy sentences in the Fleming style with the occasional stylistic flourish. Snappy dialogue with the occasional bit of wit to it (including having the amnesiac Doctor unknowingly quote himself at times). It helps that the pacing is kept up throughout even though the downside of that is that the conclusion feels a tad rushed once it finally arrives. If you’re in for the journey more than for the destination, that might be easier to forgive. Rather than being a science fiction story involving alien planets or Earth under alien invasion, Endgame feels like something a bit different from your typical Doctor Who adventure. Perhaps, that’s because it reads like an homage to the Cold War spy thriller genre and the actual history underlying it. 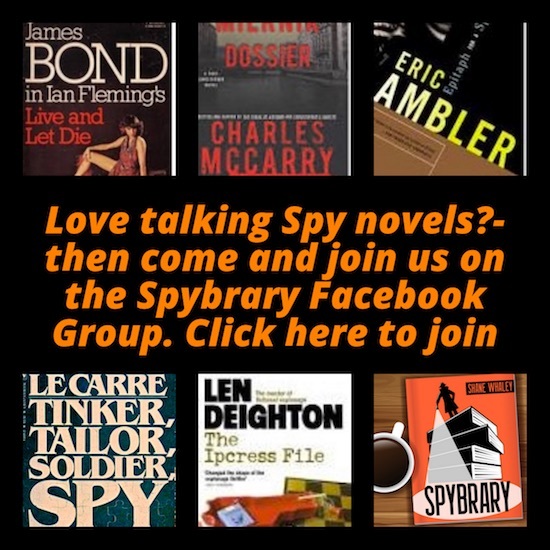 True, it tends more towards the spy-fi side of the espionage fiction spectrum but substitute the Players for a group like SPECTRE and wouldn’t be far out of place. If you’re looking for a different take on the genre and a familiar piece of Cold War, Endgame could turn out to be just what the Doctor ordered.